I read that pearl of wisdom on a paper towel yesterday. Here’s to tomorrows filled with salsa from the container garden in the sky! 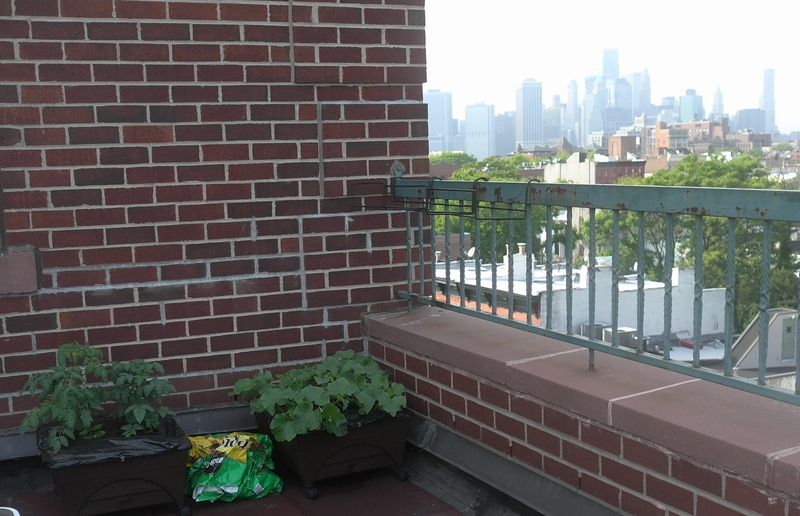 Vegetables with a view: tomatoes and cucumbers in their City Pickers. 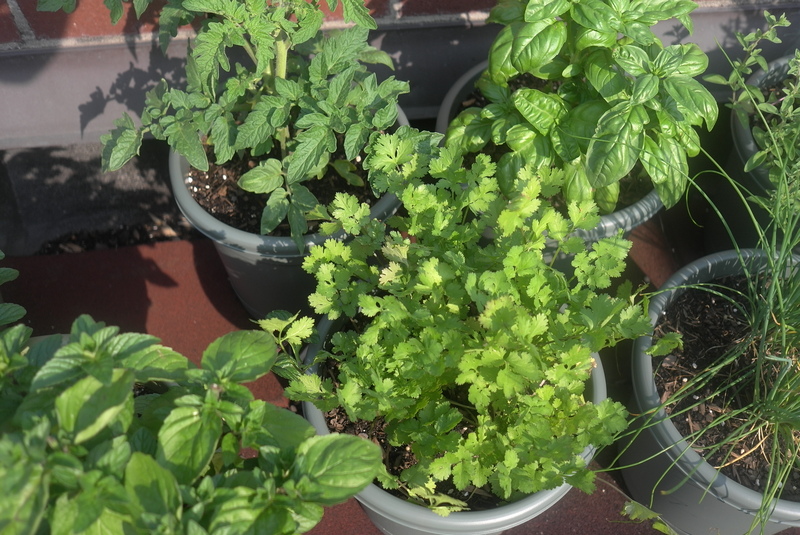 The herbs: mint, basil, cilantro, chives…(and a tomato stuck in there, too). 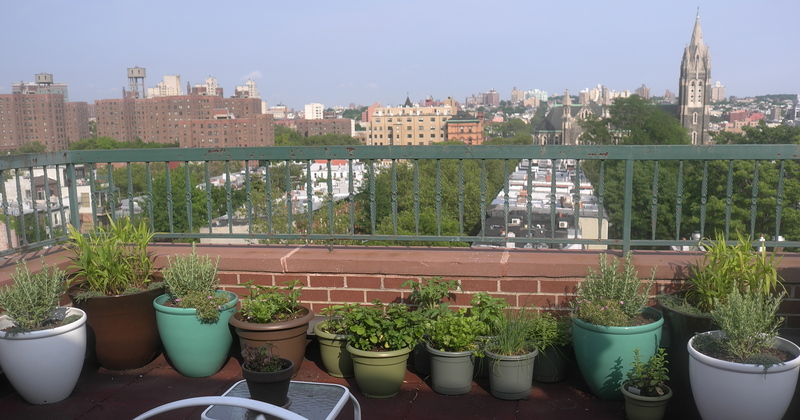 I gave the cilantro, mint, and basil haircuts earlier tonight for a Thai salad–post to follow soon! I hope I can make my cilantro last all summer. Anyone know if that’s even possible? There are some jalapeño plants along this wall. Farmer Lilly seems to have a green thumb! Your plants look great! So does the view! I made the spinach salad with strawberries, etc for Mother’s Day–It was delicious! Thanks for sharing!